Michael Smerconish, a Philadelphia Inquirer columnist and radio talk show host that I don't always agree with, offers an Inquirer column on convicted cop killer Mumia Abu Jamal being invited to speak at a college. On Sunday, a college in New England that you've never heard of will celebrate commencement exercises for 20 students - and they've chosen a convicted cop killer as their speaker. The school is an unusual place. It has only a few hundred students. They get to design their own curriculum. And they have nearly two dozen individualized commencements every year. Sunday's speaker received a degree from the school while on death row. He won't be there physically; he's serving a life sentence without parole in Pennsylvania. Instead he's used his telephone access to record a message. I think I'm well-qualified to offer some background facts on this issue. In 2008, I wrote the memoir of the police officer's widow, Murdered by Mumia, a New York Times best seller for which I accepted no proceeds from the sales of the book. On Dec. 9, 1981, at about 4 a.m., 25-year-old Police Officer Daniel Faulkner was executed while making what seemed like a routine traffic stop. 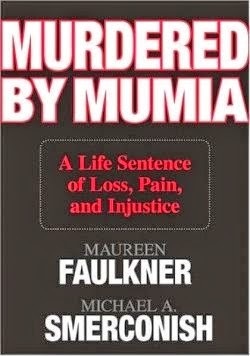 Faulkner pulled over the brother of Mumia Abu-Jamal, William Cook, who was driving his Volkswagen the wrong way on a one-way street in the city's red-light district. Abu-Jamal was then an out-of-work journalist who was driving a cab. His revolutionary ideas were well-documented. He saw the police stop from across the street. Abu-Jamal ran across the street, shot Faulkner in the back, and finally between the eyes. Before that final fatal shot, Faulkner had discharged his gun, hitting Abu-Jamal in the stomach. With that bullet, you could say he confirmed the identity of his executioner.